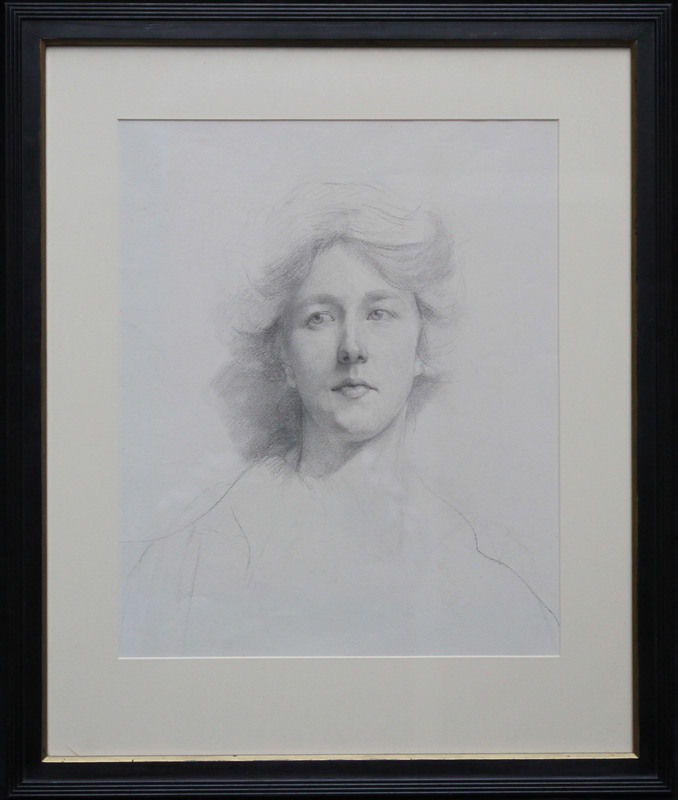 This is a fine detailed and superbly executed Edwardian drawing by Estella Canziani which dated to circa 1911. Executed by one of the leading artists of the day it is a very striking and fascinating self portrait by one of the most famous female artists of the period. In good condition. Size 34 inches by 30 inches in a fine gallery frame. Estella Canziani was the daughter of the painter Louisa Starr (1845-1909) and Enrico Canziani (1848-1931), an Italian civil engineer. A painter of portraits, landscapes, illustrator and decorator. 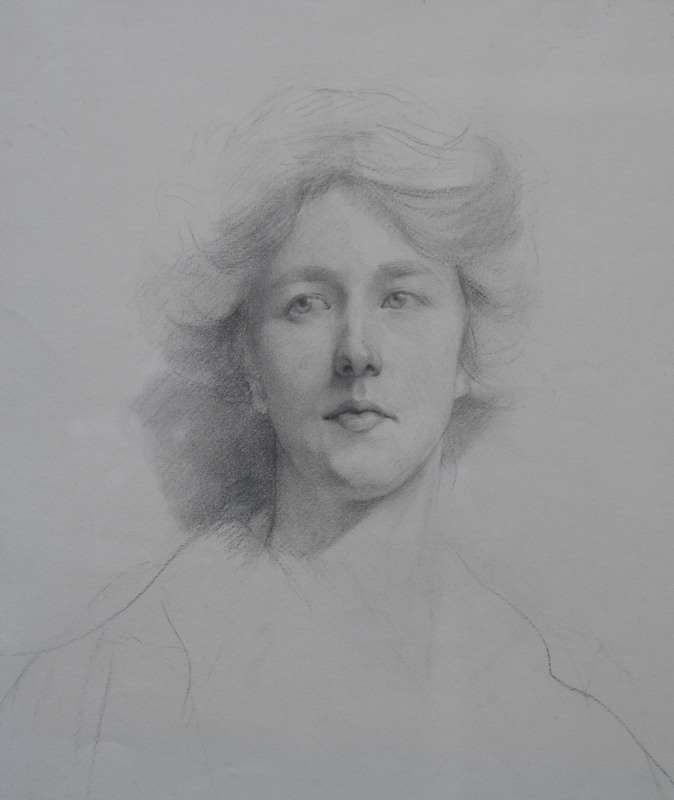 Trained as an artist, studying first at the 'Copernicus', a Kensington school run by Sir Arthur Cope and Erskine Nicholl, then at the RA schools. Painted scientific water colours in hospitals and made moulded splints and casts of abnormal cases during wartime. Exhibited at the Royal Academy, London, and in Liverpool, Milan, Venice and France. She was the author of 'Costume, Traditions and Songs of Savoy', and several other works about Italian folklore. She travelled extensively throughout Europe.